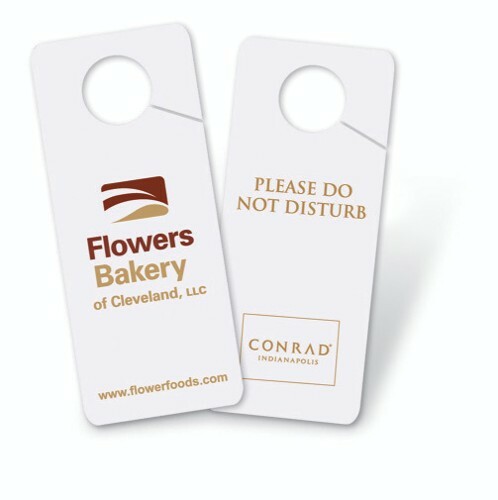 Get your message out all over town with versatile door hangers. Ideal for political campaigns, realtors, florists and other service providers. Plastic door hangers withstand the elements better than paper. Other popular uses include Do Not Disturb signs, medical self-exam hangers and coupon offers. 3 1/8" x 7 7/8"
• Size: 3 1/8" x 7 7/8"
• Imprint area: 2 7/8" x 5"